What an awesome Father, Son and Son-in law hunt! 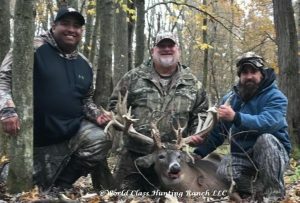 Congratulations to Wayne, Kevin and Albert on some fine Whitetail Non-typical trophy Bucks! They came a couple days early, so they would be well rested, and ready for what they expected to be a once in a lifetime hunt! So much for that, they are already talking about next year! Back to the story. They arrived in the blind about mid morning on Monday, and started seeing some deer before they even made it to the stand. As most men do, they needed some grub around noon, so they went to a local Restaurant where they served up some good old Homemade Amish cooked food! After lunch, they did some driving around with the Ranger, and nobody was getting too trigger happy yet. They seen a lot of deer they liked, but these boys had some serious patience! On Tuesday morning things were starting to get a little exciting when Albert seen a non typical deer he felt would make a great wall hanger. 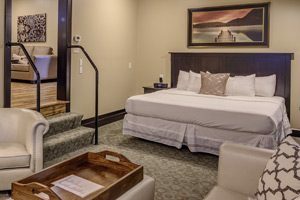 They seen him head for the ravine, and bed down. 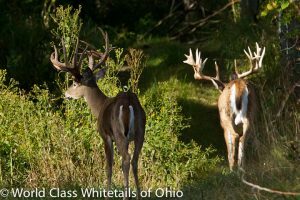 Well, Albert and Rich decided to get a little closer before lobbing some lead, so they were sneaking toward the ravine, and the deer stands up, and Albert lays it to him! 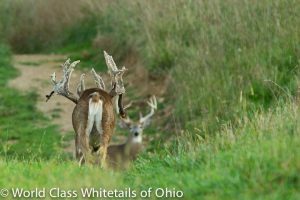 A few minutes later when Rich walked up to the buck, there was clearly something wrong… They shot the wrong deer! 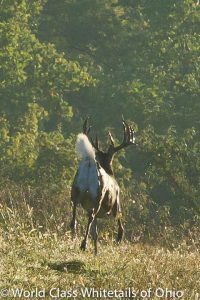 Here this buck had walked into the ravine, and laid down close to where there was a very similar looking buck bedded down. 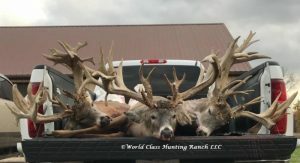 Long story short, Kevin joined Rich, and they ended up finding the buck Albert was after, and so Kevin ended up harvesting that beautiful buck! 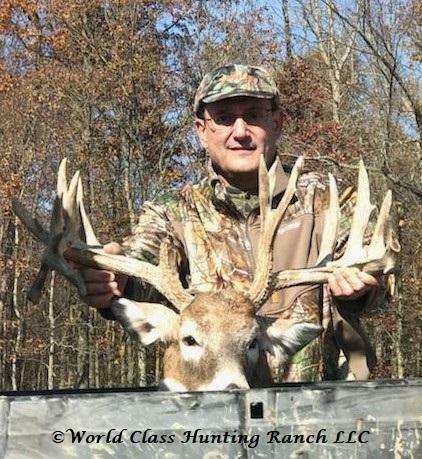 Wayne, however had not fully decided on a buck yet… He had his eyes on a few of the big ones, but finally decided on Wide Load, our Signature buck! Wow, they finally found him again late in the day, and Wayne made an awesome shot! Congratulations to all of you! We look forward to seeing you guys back next season! They were ready for some more good old Amish Cooking, so Owen and the hunters went to the local buffet, and Rich and Matt headed for the skinning shed. Jose and his wife Ana arrived from Rhode Island on Wednesday. 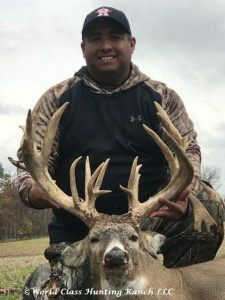 He was looking for something in the 200″ range, and boy did he score on a nice big non-typical buck 250″! 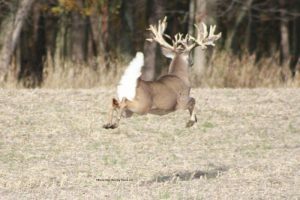 This buck had picked a fight with the wrong buck at some point and lost his one brow point. But a very typical main frame with some nice drops, and stickers. 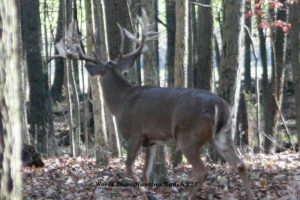 It was Thursday, after seeing many other bucks in his bracket that he decided to look for this buck. 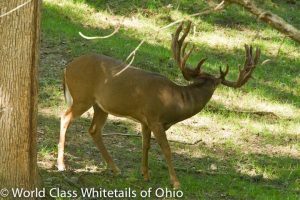 He was interested in some additional meat, so they harvested a doe Friday morning while his wife was busy checking out the local cheese factories, and furniture stores. 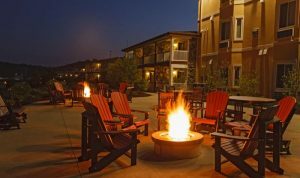 We are excited to have you coming back next season with some of your friends! 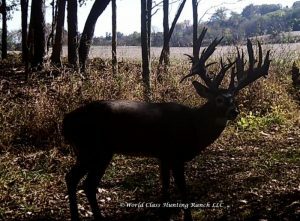 I understand they have already been asking when they can join you at World Class Hunting Ranch!